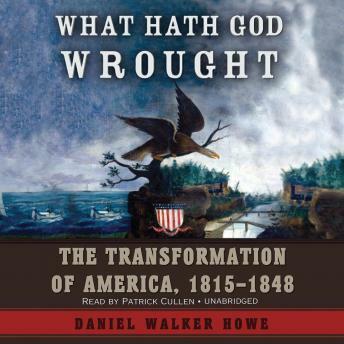 In this addition to the esteemed Oxford History of the United States series, historian Daniel Walker Howe illuminates the period from the Battle of New Orleans to the end of the Mexican-American War, an era of revolutionary improvements in transportation and communications that accelerated America's expansion and prompted the rise of mass political parties. He examines the rise of Andrew Jackson and his Democratic party but contends that John Quincy Adams and other advocates of public education, economic integration, and the rights of blacks, women, and Indians were the true prophets of America's future. Howe's panoramic narrative-weaving together social, economic, and cultural history with political and military events-culminates in the controversial but brilliantly executed war against Mexico that gained California and Texas for America.